The decision not to build a velodrome for the 2022 Commonwealth Games came under further scrutiny after a string of emails between officials were uncovered. 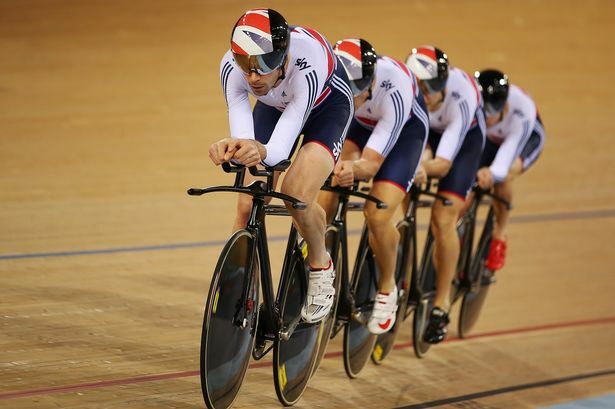 The emails, which were exchanged between Birmingham City Council, the Commonwealth Games Federation and Sport England, shed light on the decision to hold track cycling events at London&apos;s Olympic Park. And they brought into question further the level of consideration given to the possibility of building a new velodrome in the West Midlands for the games. The emails were made public following a Freedom of Information request and they contained no reference to any in-depth study or precise figures throughout the exchange, with several cost estimates made by officials from all sides. Plans for a five-year, £125 million regeneration of a prime factory site in the Jewellery Quarter were unveiled in September. The home of manufacturer AE Harris since 1964, the plot off in Northwood Street will be almost completely bulldozed and rebuilt with 320 new apartments, shops and cafés in a project expected to create 500 jobs. The development, which has been designed by Birmingham practice Glenn Howells Architects, will comprise comprise 20 individual buildings. A pair of grade-II listed buildings at the site - the former Harper&apos;s Hill Works at 109 Northwood Street and a neo-Georgian factory on the corner of Newhall Street and James Street - will be preserved. Workers at Jaguar Land Rover&apos;s Castle Bromwich factory were told in September they were switching to a three-day week until Christmas. This started what has proved to be months of continual headlines about the manufacturer&apos;s shift patterns, staffing levels and production as it struggled with the fall in demand for diesel models and uncertainty over Brexit. The Castle Bromwich plant, where the company makes Jaguars, has already lost the best part of 1,000 jobs and decided to switch to a three-day week until the end of 2018 to avoid further losses. Jaguar Land Rover has been making serious moves over the past few years to target the hybrid and electric markets and said last year that all of its new vehicles would be electrified from 2020. The organisers of one of the UK&apos;s largest cycling sportives confirmed its return to Birmingham for 2019. Vélo Birmingham was rebranded and relaunched with a new name and new route, taking in Coventry, Solihull and the Black Country before returning to Birmingham city centre. It also switched from its inaugural date in September to a late spring event next May. Organisers said they hoped the new route would bring bigger audiences to the event which is expected to raise more than £2 million for charity. Birmingham lost out in its bid to land the new national headquarters of broadcaster Channel 4 in October. The channel chose Leeds for its new head office, where it will base around 200 staff, and Glasgow and Bristol to launch two new creative hubs. The trio of new locations are part of Channel 4&apos;s &apos;4 All the UK&apos; strategy which will mark the biggest change to the structure of the organisation in its 35-year history. Birmingham had beaten several towns and cities across the country to be shortlisted alongside Greater Manchester and Leeds but the rejection prompted the inevitable political backlash against Tory Mayor Andy Street from Labour MPs. The NEC Group was bought in October for a rumoured £500 million more than it was sold for by Birmingham City Council four years earlier. LDC, the private equity arm of Lloyds Banking Group, was left rubbing its hand with glee after striking the bumper deal with Blackstone. The buyout included the group’s major conference and live events venues such as the ICC, Arena Birmingham and Genting Arena but the sale price attracted heavy criticism. Both MPs and opposition councillors wanted to know whether the Labour-run city council had struck a bad deal with its sale in 2014 when the NEC Group was offloaded for £307 million to LDC. Birmingham lost one of its most famous sons this month. Tributes poured in from all sections of society to Sir Doug Ellis, the former Aston Villa chairman who died aged 94. He was known as much more than just a football club owner as his philanthropy and dedication to good causes across the city was unparalleled. City council leader Ian Ward echoed the thoughts of many when he said: "Doug deservedly received a knighthood for his services to charity and continued to be a magnificent supporter of good causes in Birmingham right up to the end." Futuristic underground bins were being considered for a new 6,000-home development in the north of Birmingham, it was revealed. The state-of-the-art collection system was being mooted for the sprawling Langley development in Sutton Coldfield although council bosses were being a little coy on the idea. Residents would have bins for general waste, compostable waste, recycling, paper and batteries in their homes from which they take the bin or a liner out and place it into one of several chutes embedded in the pavement. When completed, the 3,000 homes would be served by just 451 chutes as opposed to 9,000 wheeled bins if the initiative is handed the green light by council chiefs.